Ayu, sometimes translated as “sweetfish” is a small freshwater fish that is prized for it’s sweet and savory flesh. In the summer months it is so highly sought after that regional festivals and traditions have developed around it. 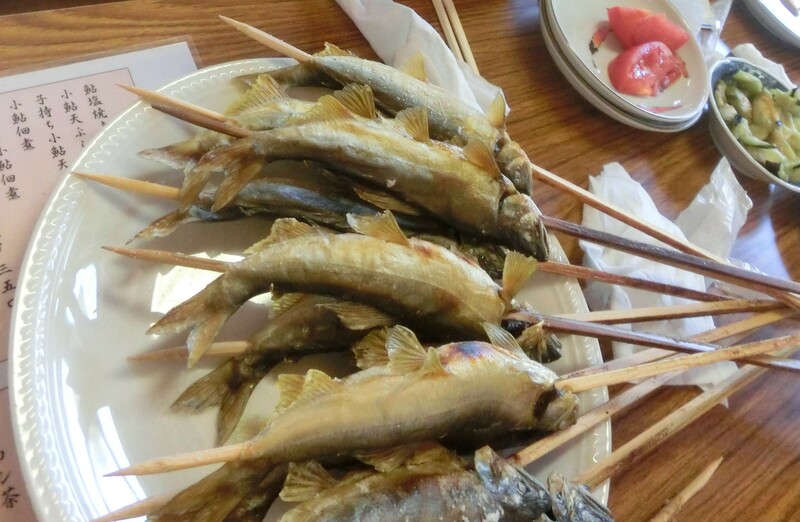 In fact Ayu is the official fish for two different prefectures. 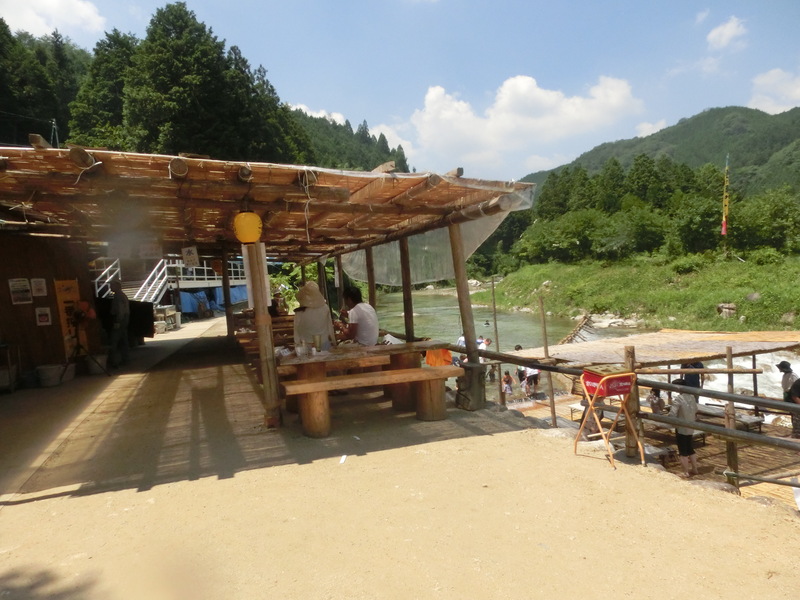 Ayu can only live in exceptionally clean rivers and streams, and as a result it has taken on deep cultural significance to mountainous, landlocked regions such as Gifu prefecture. Several types of fishing techniques have developed just for this fish alone, and perhaps the most fun for the entire family is one industry called yana. Yana refers to the bamboo reeds that are thatched together to make a sort of porous platform which is placed in the river. 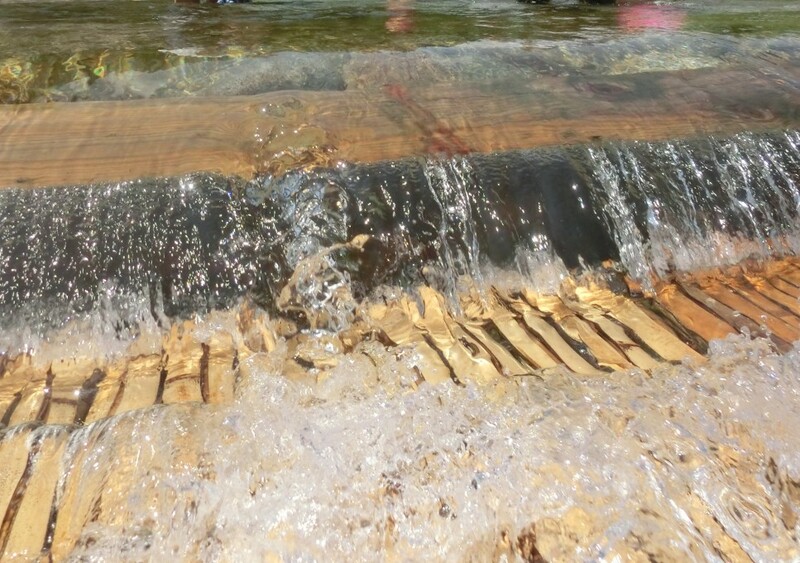 Customers are then invited to stand on the bamboo platform while the river rushes over it. Ayu are released upstream and they swim their way down where they become caught on the bamboo thatching. Adults and children alike then rush about the platform picking up the ayu with their bare hands. Once they have caught their fill, they typically hand them off to the grill master who will skewer them in a sort of s-pattern, cover them with salt and place them to roast on an open fire. Larger, more established places have a sort of stone fire pit with perfectly measured rungs to place the skewers so that the fish can be slow-roasted to perfection. When it is done right, the ayu can be eaten head, guts, and all. The bones become so brittle they crunch to the teeth. The fins become a crispy delight. For people who might be reluctant to eat the head, eyes or skin of a fish, this might be the dish that converts you to a full time head-biter. The sweet flesh which has been described by Discover Magazine as having “melon and cucumber aromas” is often considered one of the most delicious foods in Japanese cuisine. It is hard to argue, especially after catching it with your bare hands. The season for Yana fishing is typically from June through the end of October, but some regions begin as early as April and continue as late as November. 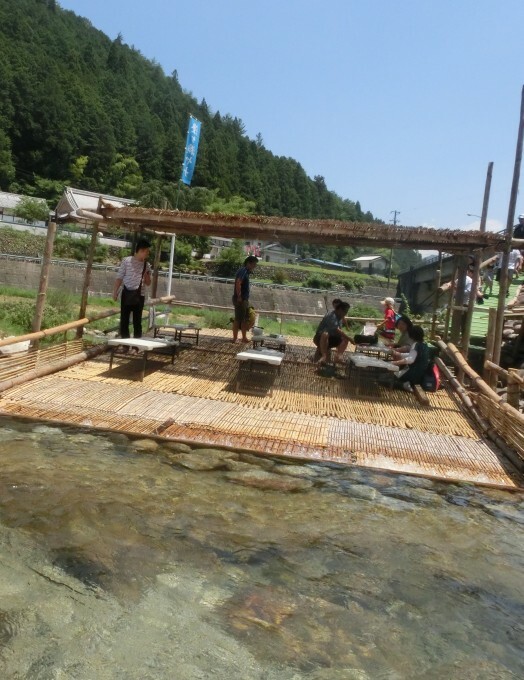 Tochigi and Gunma prefectures each have dozens of locations to try Yana fishing, as do Gifu, Aichi, and Niigata. 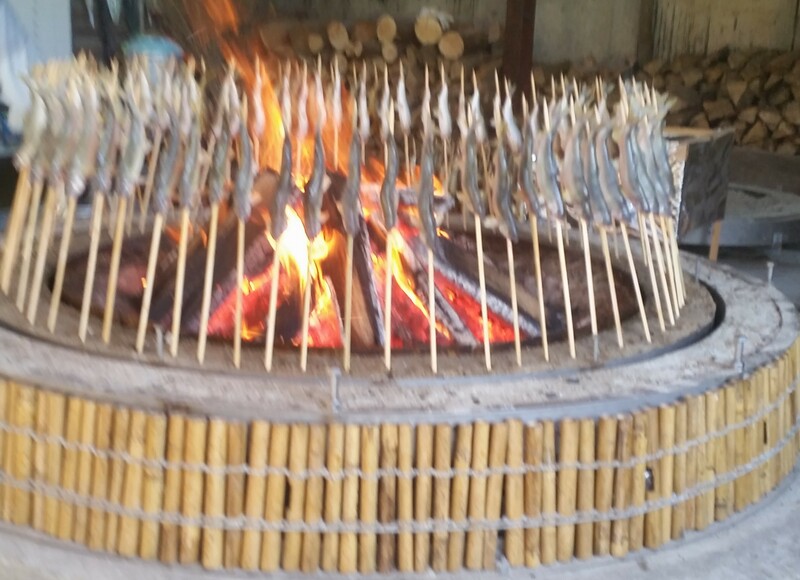 In recent years some Yana fisheries also include freshwater eel, but it is not nearly as common.